Dr Jagjit Singh Srai, Head of the IfM's Centre for International Manufacturing (CIM) and member of the World Economic Forum's (WEF) Global Future Council on the Future of Production, has guest edited WEF's Agenda Weekly Expert Edition. In this issue, Jag shares insights on WEF's Future of Production theme with its community of experts. 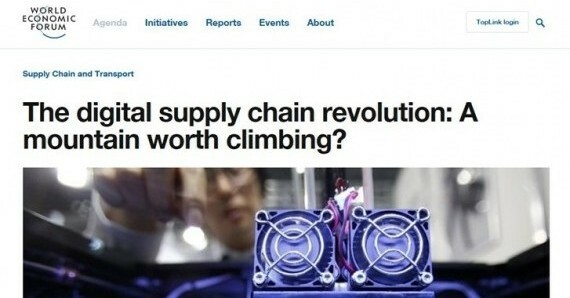 As well as curating the contents of the Agenda, Jag has contributed a blog, The digital supply chain revolution: A mountain worth climbing? In it he addresses the challenges and opportunities that digitalising supply chains presents for global companies, looks at ways of overcoming some of the barriers to implementation and considers the potential social and economic consequences if we fail to take an uncritical approach to digitalisation. Jag has also been interviewed for a WEF podcast, Digital Transformation in Manufacturing Supply Chains, in which he talks in more detail about three of the global infrastructural challenges facing the digitalisation agenda. First is the need for robust information security and governance if consumers (or patients in a healthcare setting) will be willing to share their data with more and more organisations across the extended supply chain. This will be necessary if the full benefits of a connected supply chain are to be realised but will require high levels of end-user trust. Related to this is the need for effective cybersecurity to prevent criminal activity. Finally, Jag points to the skills shortage as being a key barrier to implementation.